What is a roadblock but something that stops you from going forward. You might be able to see your destination, or at least the next leg of your journey from this stopping place, but there is no way forward. You’re stuck. This is what happens in some businesses when they strive to meet their goals. The destination is envisioned, the course determined, but progress is never made. 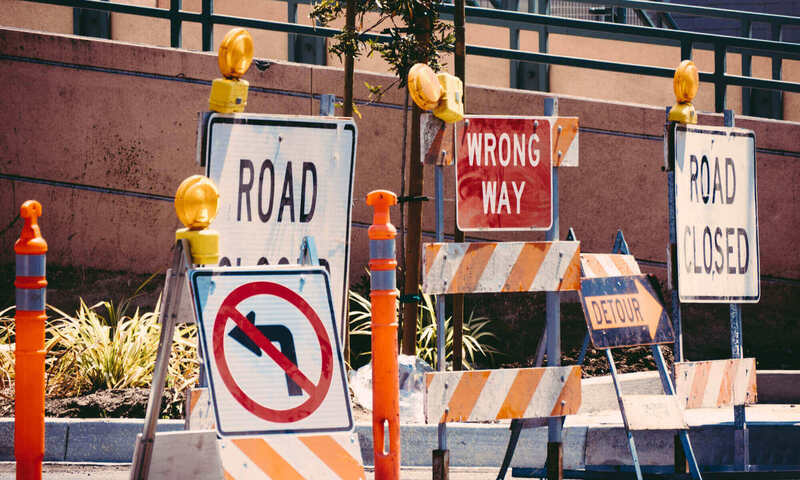 When it comes to business success, roadblocks can actually be technology roadblocks, and fortunately, managed IT services can take these roadblocks down. What Do Technology Roadblocks Look Like? Technology roadblocks are actually attitudes that look like IT problems or people problems. They are issues that happen again and again and again. They are IT investments that didn’t pan out and projects that overran their budgets. At the people level, roadblocks look like frustrated employees who hate to get help with the problems they’re having because they think IT is inept. Employees also feel bad when their ability to do a good job is compromised by the organization’s IT situation, and their frustration can easily spill over into their interactions with customers. Here are some executive attitudes that create technology - and business success - roadblocks, and how managed IT services can help business leaders push past their limitations. In an IT department, there are many different roles to fill. When IT is covered by just one or two people, they have to wear many hats. It’s unrealistic to think these folks are going to have a high level of expertise in every IT discipline. What happens is that they tend to focus on the activities that they’re good at or enjoy, while other equally important activities are neglected. It's just human nature. For example, let’s say you had an IT person who was really good at programming or building systems but was not a very good communicator. He’s going to be happiest when he’s behind the scenes, making changes or upgrades to your network, but he’s going to hate providing user support. The users are probably going to hate having to call him, too. Here’s another example: Imagine that your IT person is really good at helping users and troubleshooting problems, but not up to speed on how to create an effective cyber defense. This may open you up to a cyber attack. To summarize, thinking that one or two people can take care of IT means that you have gaps in expertise, which prevents anyone in that job from being successful. There’s probably going to be a lot of turnover with those IT folks too, because carrying a feeling of inadequacy around every day is a heavy load to bear. The Managed IT Solution: You get a whole department of IT experts that cost-effectively cover all of your technology bases. It’s good to be thrifty. Most people don’t want to spend more money than they have to, and what business leader isn’t interested in cutting costs?? When you’re trying to save money on technology, however, using your equipment and applications until they die will actually end up hurting you in the long run. When you have a crash, you’re going to have a disruption. If you’re talking about a workstation, then that person is probably going to be down for several days unless you have a “hot spare”. That’s an extra computer that is loaded with software, ready to go. Everyone wants to get the most life out of their equipment, which is why lifecycle planning is so important. It helps you use the equipment as long as possible without getting into the high-risk zone. What if your server crashes? You’re going to have a disruption, but this time your whole operation could be down for days. That’s not going to make your customers happy, or your employees either, for that matter. It’s going to be a drain on your finances. Can you picture your business with everyone standing around not able to work and customers not being served? Let’s say that you’re lucky enough to not experience a crash. Old hardware is going to nickel-and-dime you in parts and downtime, taking more of your IT team’s time to make repairs. Productivity will also be low since old equipment is slow and freezes up. Old software can cause some of the same kind of problems that old hardware does. It can be slow and continually come up with errors that demand the attention of your IT guy. Old software also presents a security risk, especially when you’re talking about operating systems and popular software types. You’re also probably limiting what you can do with your software. Take your line-of-business software, for instance. There might be a new capability that will save time, or remove the possibility for duplicate data entry errors for your HR manager. The Managed IT Solution: When your technology is proactively managed, your hardware and software are refreshed on a regular basis, keeping your staff productive and avoiding increasing repair costs. If you find that none of the IT solutions that you’ve found meet your expectations, do you really want to live with what you have? Wouldn’t it be better to change your expectations? We don’t mean lowering them, but find out if your expectations are based on reality. We already addressed one flawed expectation earlier in this article. One or two, or even five or six people, cannot take care of everything that has to do with IT because they just don’t have the deep knowledge or the time to do it all. So if you have a list of IT companies that you’re vetting, and some of them are made up of just a few people, cross them off if you’re serious about removing your technology roadblocks. Another flawed expectation is that you think you can’t afford managed IT services. The truth is that you could be overspending on IT right now. If you compare the salaries and benefits of your internal staff, you might be surprised at how close you are to paying for managed IT services. Another way that companies overspend on IT is when IT projects and improvements don’t pan out, and don’t provide the expected outcomes for efficiency, or productivity or whatever else you thought was going to improve your competitive advantage. Those same projects most likely finished over budget because of many unforeseen issues that popped up during implementation. This can be due to Roadblock #1 - the IT team's expertise or time constraints may have gotten in the way. The Managed IT Solution: Add up all the costs of NOT making the switch to a managed IT service provider, and it becomes apparent that Managed IT Services are more affordable than you might think. All three of these executive attitudes cause IT problems that are totally avoidable. If you’re ready to push those technology problems out of the way, it’s time to look at managed IT services. If your business is located in Southern California, we'd like to offer you a free IT assessment to help you get a better picture of where you're at with IT now, and give you some recommendations for improvement. Contact us to schedule your assessment.